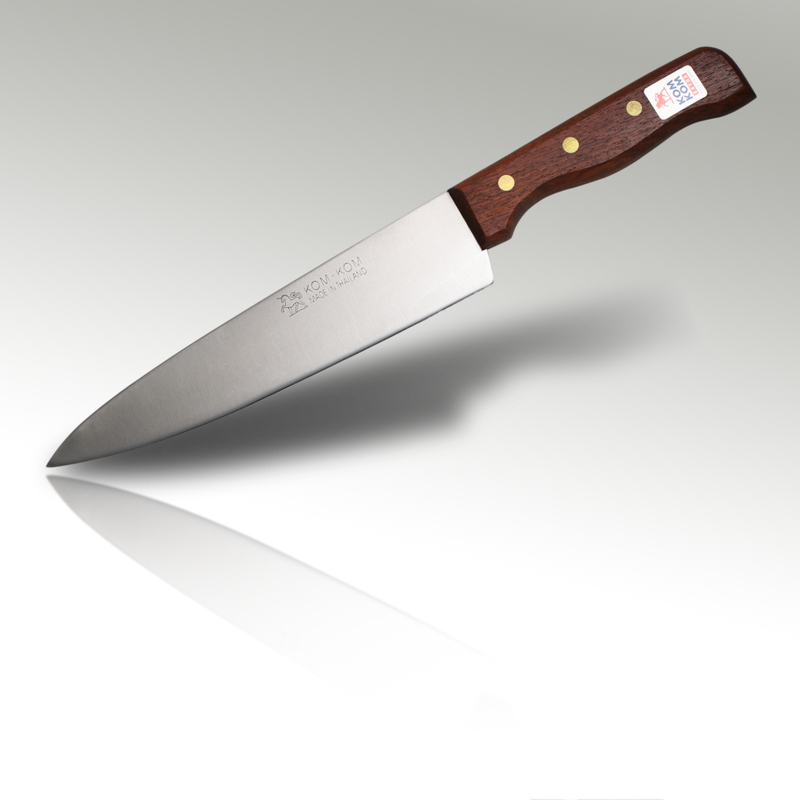 488KK - Kom Kom chef's knife with an eight inch (high carbon steel) blade and a hardwood handle. This is a very high quality chef's knife with 8 inch superior quality blade, made with high carbon steel. The handle is made from quality hardwood. Please note: the image shows the 488AK which has an identical blade but a slightly wider handle.